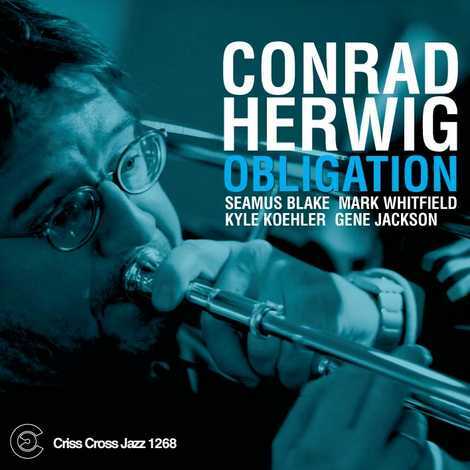 From Latin romps through Coltrane territory to updating the two bone lead first launched by Kai and J.J., Conrad Herwig's musical diversity over the course of his six previous Criss Cross releases has been nothing short of remarkable. 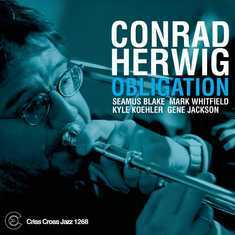 On Obligation, he takes things a step further with a funky organ combo set up that highlights the extraordinary work of guitarist Mark Whitfield and the budding talents of organist Kyle Koehler. Tenor saxophonist Seamus Blake and drummer Gene Jackson complete the lineup, helping to make this set stand out among Herwig's already impressive catalog.